Navy letterpress is such a classic look that it pairs beautifully with almost any of our inks. 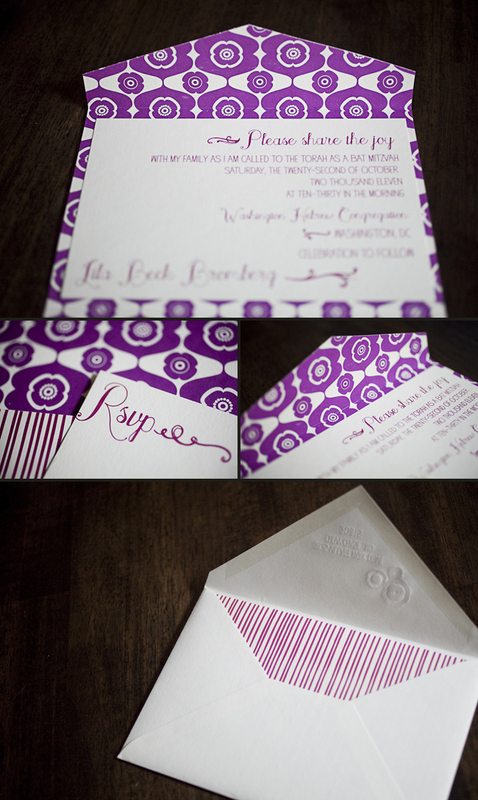 We love how Judy Paulen Designs chose raspberry as the accent color to this letterpress wedding invitation suite. The couple also had a matching hang tags created as a miniature thank you note – a great way to say thanks at your reception! 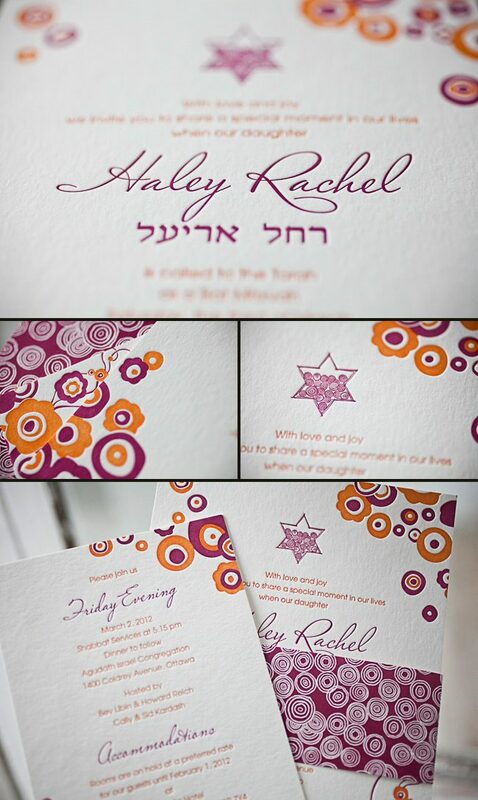 In silver and raspberry letterpress inks, this rendition of Lashar is still very classic and formal, but with just a touch of pizazz provided by the lush raspberry ink. Thanks to Nota Bene for sending this set for us to print! 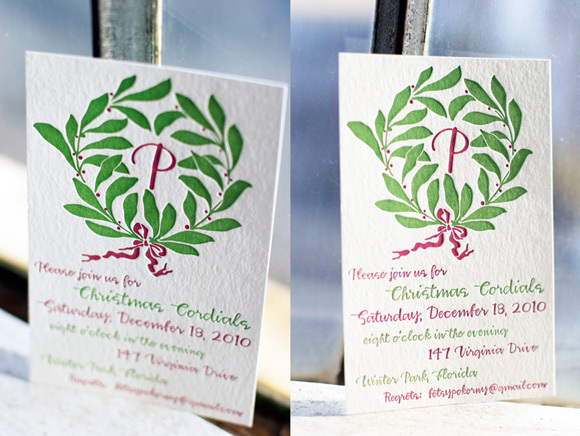 We love how festive these letterpress Christmas photo cards are from Byrd + Bleecker. 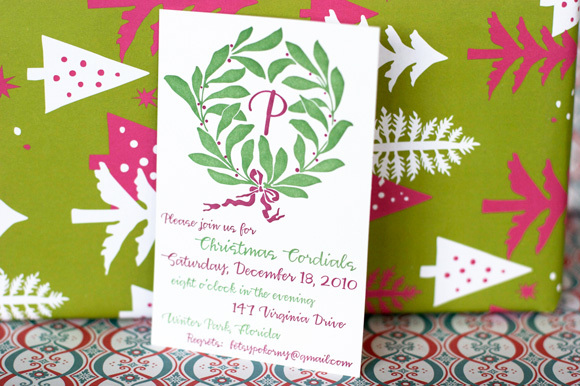 Our grass and raspberry inks are just right for this design (and there’s even room for a photo!). 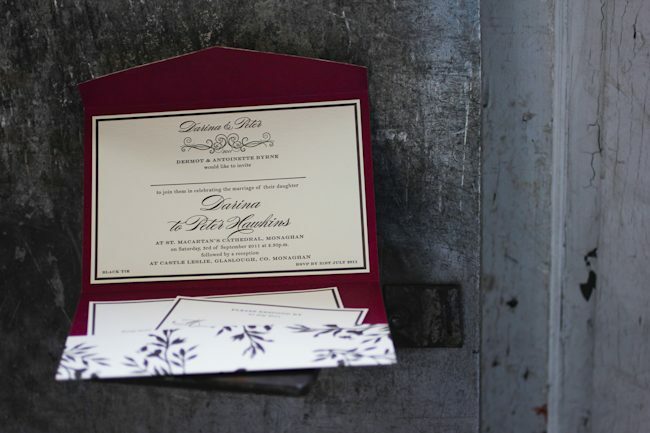 Courtesy of Village Invites in New York, NY this custom letterpress wedding invitation order was fun to see come to life! 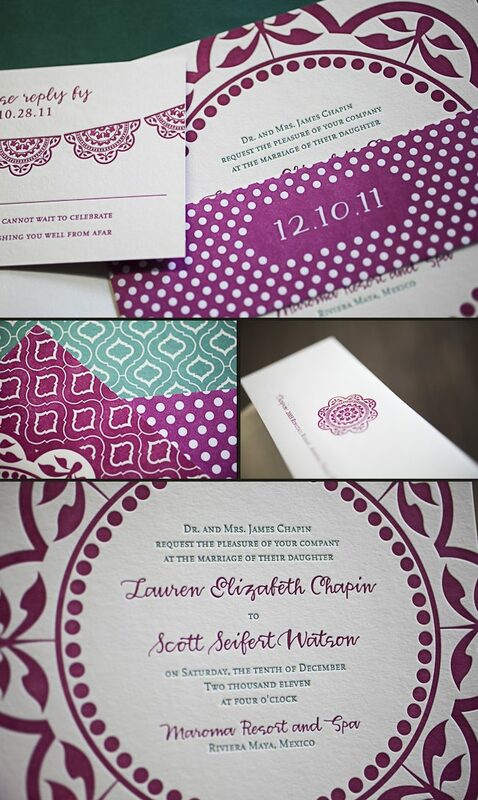 The vibrant colors (raspberry and turquoise inks) and reverse-printed bellyband created a very unique invitation set for a destination wedding. 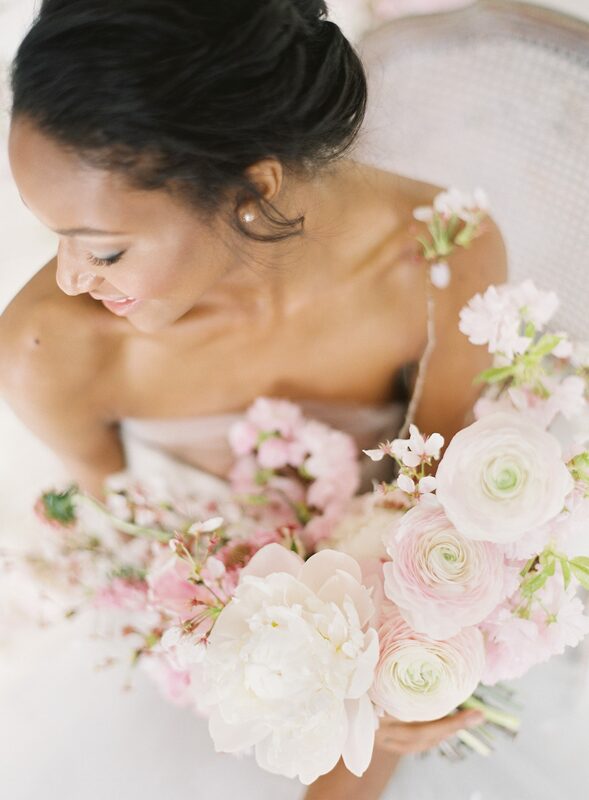 Jaye and Nathalie are a joy to work with and we are happy to showcase their work when they ask for something that looks this good. 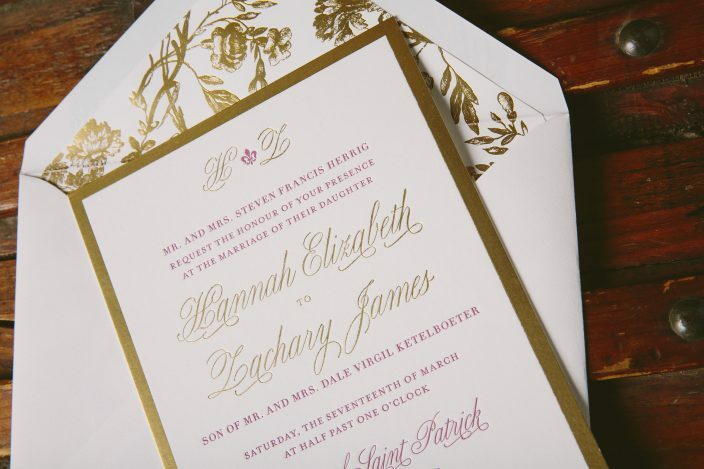 It’s easy to get swept away with this charming letterpress invitation customization made to our Burstell design submitted to us by our friend Ailbhe from Pretty as a Picture in Ireland! 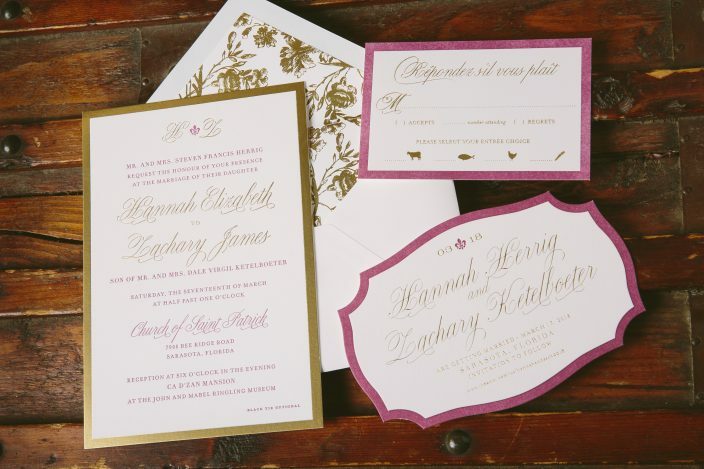 This modern text based invitation has clean lines and the right amount of flourishes to add a touch of elegance to this set. We love the luscious raspberry on the interior of the folio even more because it is probably not something guests will be expecting! 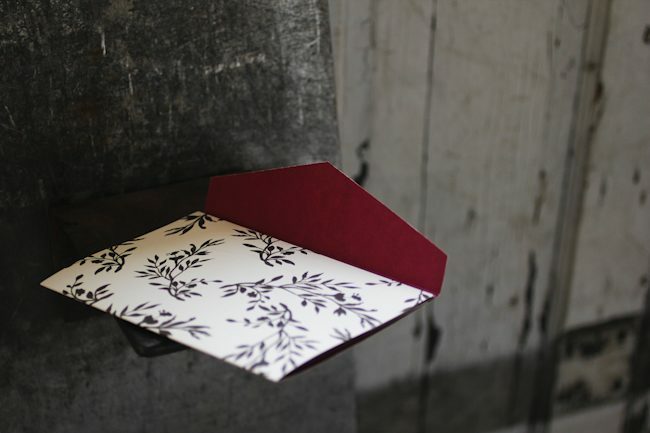 The exterior of the folio is printed in our virelles pattern which looks positively nature inspired! Pretty as a Picture always sends us the coolest customizations-and it’s safe to say this will be another crowd pleaser!